Science Songwriter of The Future! 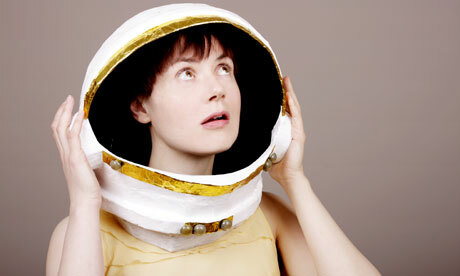 is a national competition to find Britain’s best science songwriters aged 18 or under. Simply record a song about science and submit an mp3 to us at sciencesongwriter@gmail.com by July 13th. We’ve roped in some experts from the worlds of science and music to judge your songwriting skills. And there are some AWESOME prizes on offer. This year, there’s also a special Institute of Physics category for the best song on the topic of “The Social Physicist”, with its own mini-prize. Weekend-long tickets and train fares for the winner and a guest (or guardian) to go to Green Man Festival and take part in a science songwriting workshop in Einstein’s Garden. A recording session at London’s House of Strange studios – to record the winning entry in style. 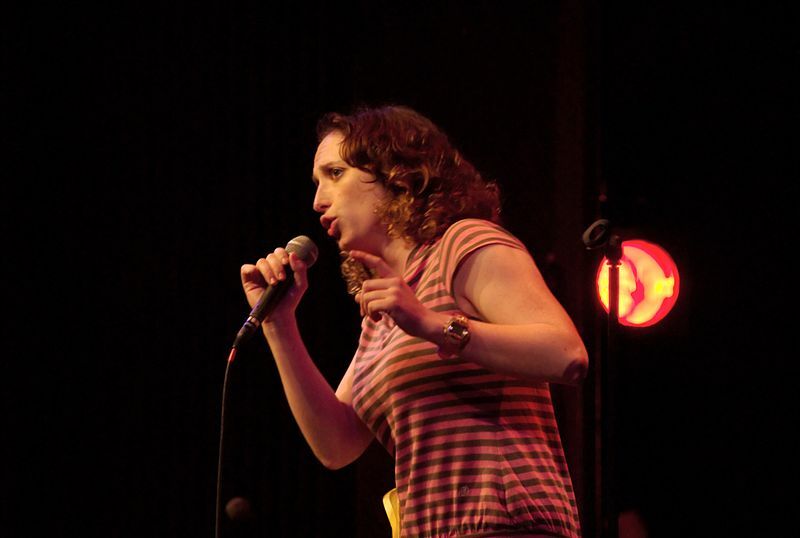 Isy Suttie is not only a star of Channel 4’s Peep Show, she’s also a very talented musician and comedian, and she’s been taking her mini-musicals to the Edinburgh Fringe since 2007. Her 2011 show, Pearl and Dave, made her audiences laugh and cry, so we’re hoping Isy will pick out a song with the elusive Smile Factor. Tom Robinson is a veteran of the UK punk and new wave scene. He’s a Sony-award winning broadcaster and has DJed on all six of the BBC’s national radio stations. Since 2007, Tom has been a tireless champion of new music via his Fresh on The Net show. He can spot a good song at fifty paces with his hands tied behind his back. Helen Keen, star of stage and radio, wrote and presented BBC Radio 4’s recent series It is Rocket Science, based on her one-woman show of the same name. She runs Spacetacular, a monthly science and comedy night, and this year takes her show Robot Woman of Tomorrow to Edinburgh Fringe. Helen has forgotten more about space than we’ll ever know. MJ Hibbett has been writing and performing music for 15 years. His second studio album, This Is Not A Library, was named album of the year by Rolling Stone magazine. In 2009, he started performing a one-man stand-up show about dinosaurs that morphed into the two-man rock opera, and later album, Dinosaur Planet. If you’re thinking about writing a song about dinosaurs invading the Earth, make sure he hasn’t done it first. Tom Whyntie is a real, honest-to goodness CERN physicist, musician and performer. He’s a FameLab winner, and has appeared on Channel 4 and at the Cheltenham science festival, and will be looking out for songs that make science accessible, fun and interesting. 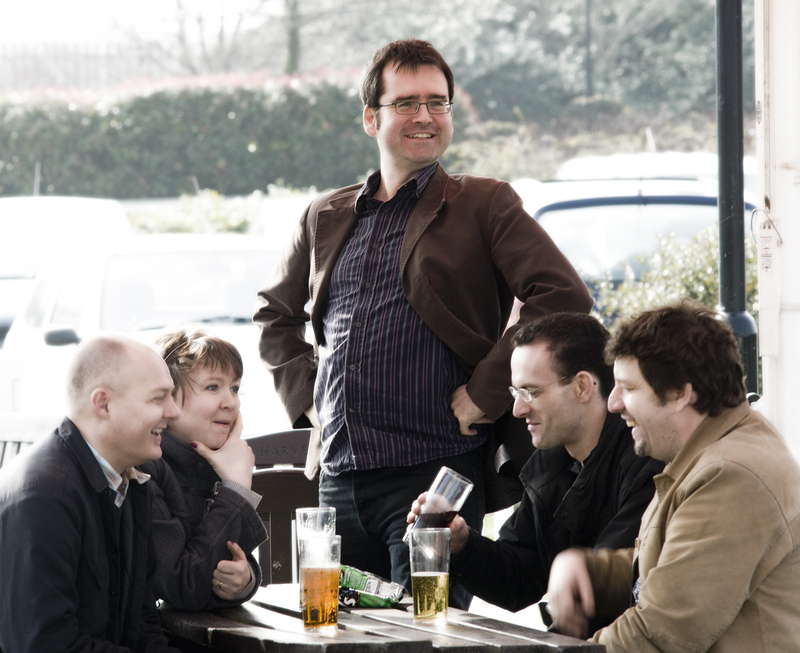 Martin Austwick researches social physics (using maths to understand human behaviour) at the UCL Centre for Advanced Spatial Analysis, and is a keen science songwriter. This prize is especially close to his heart; he wants to use it to convince his friends that physicists aren’t so bad after all. Hayley Birch curates and commissions music about science for Geek Pop, and manages the Solar Stage in Einstein’s Garden at Green Man Festival. Her day job is writing about science but she’s listened to more physics songs than you’ve had hot dinners and knows a quark when she hears it. Once upon a time, Helen Arney was a lowly physics student – now she’s a science songstress, and something of a wizard on the ukulele. She is one third of Festival of the Spoken Nerd and has shared stages with the likes of Brian Cox and Tim Minchin. Helen will be on the look out for the kind of wry, bittersweet songwriting she’s known for herself. Anyone who is 18 or under (so is at school or has just left school/sixth form college) and lives in England, Scotland or Wales. And you must be able to come to the Green Man festival (August 17-19th 2012). If you win, and are under 18, you must use your second ticket for an accompanying adult (over 21) to attend Green Man Festival. Science songs, written by you, and recorded. Your song can be about anything related to science – good science, bad science, famous scientists, discoveries, inventions, your favourite science fact, anything. What’s this “Social Physicist” prize? Send your finished song as an MP3 to sciencesongwriter@gmail.com, along with the lyrics. You could alternatively send a download link if you prefer. When will I know whether I’ve won? We’ll announce the winners by July 27th. But hopefully before then. Does the song have to have words? Does the song have to have instruments? What will songs be judged on? Sciencey-ness. Music-y-ness, including melody, lyrics and rhythm. And the all-important Smile Factor. You won’t be judged on the production values of your recording. Does it have to be professionally recorded? No, we’re interested in the quality of the song not the quality of the recording. Of course, we want to be able to hear it! But a recording on a phone is fine if you don’t have professional equipment. Of course! You can write the song yourself, and ask a friend to sing it. And if you’re in a band, you can play a song together. But the prize is for the songwriter, so you should write the song. But then who wins the prize? You must nominate a songwriter who will win the prize if your song is picked. We only have so many prizes, sorry! Do I have to bring my mum/dad/guardian if I win? If you’re under 18, I’m afraid you do. They’ll have a lovely time. Can I take a famous/existing song and just change the words? No, please don’t do that. Songwriting is writing music as well as words. If we think your song is too much like a popular song we won’t like it as much and it probably won’t win. Can I submit a song from my 1982 album Disco Science? Ha! Trick question! If you were around in 1982 you’re TOO OLD to enter! But more generally… your song must not have been released (or otherwise made widely available) before the competition deadline. If it’s been in your attic for a year, no probs. If it went double platinum in 2010, not so much. Can I swear and schnizet? Please don’t. (Is “schiznet” a swear?) Nothing that would upset your grandmother. Is the judges’ decision final? Who are the people who have made this wonderful thing possible? Why only Martin Austwick at Sociable Physics, Hayley Birch at Geek Pop, Einstein’s Garden at Green Man Festival, I’m A Scientist Get Me Out of Here!, the Institute of Physics and House of Strange. Not to mention our lovely judges. Isy Suttie: This image was originally posted to Flickr by salimfadhley at http://flickr.com/photos/47061246@N00/439275877. It was reviewed on 1 November 2009 by the FlickreviewR robot and confirmed to be licensed under the terms of the cc-by-sa-2.0. Oh yay there’s still time! Going to try and get mine recorded this weekend.